In just a few years, we’ve been granted several fantastic abilities: the power to download videos, send pictures, search the internet, and talk to anyone we want from wherever we are, all from a small wireless device. But an even more sophisticated wireless world is just over the horizon. The network needed to bring it to life is called 5G, and telecommunications companies want to install it as fast as possible. The G stands for Generation, and each one is a chapter in the wireless revolution. The first (1G), allowed us to talk on a cellphone. 2G gave us talk and text. With 3G we could also send and receive a little data, and 4G gave us the power to transmit a lot more. These generations were all about connecting people. With 5G, the goal is more about connecting objects. Dubbed the Internet of Things (IoT), 5G makes possible a world of self-driving cars, smart appliances, and a variety of new devices that constantly transmit data. The architects of 5G envision a world where pill bottles, refrigerators, hair brushes, and just about anything else you can think of is supplied with a small antenna that can tap into the IoT network. How about a diaper that texts mom when baby needs a change? Or a bottle of laundry detergent that automatically orders a refill when it’s running low? The possibilities are endless, and promise a whole new level of comfort, convenience, and communication. But in order to accommodate so much data hurling through the air, the telecommunications industry needs a lot more bandwidth. The solution: higher frequencies and lots more equipment. The frequencies that currently make our wireless world run are called microwaves. Cellphone towers and Wi-Fi routers broadcast these microwaves to provide the medium for our smartphones and laptops to connect to. To carry even greater amounts of data, 5G broadcasts at frequencies much higher than either 3G or 4G. These are extremely high microwave frequencies known as millimeter waves. These frequencies offer more bandwidth, but they are also easily blocked by any obstacles in the surrounding environment (buildings, trees, etc), so it takes even more broadcast stations to make the system work. Thousands of “small cells” designed to broadcast the extremely high microwave frequencies of 5G have already been installed across the country, and a plan to erect millions more over the next few years has already been approved by the Federal Communications Commission (FCC) and the U.S. Congress. It will cost a lot of money and effort, but it promises to pay off big time. In 2016, then FCC Chairman Tom Wheeler estimated that 5G would generate “tens of billions of dollars in economic activity” for U.S. companies, and called for a rapid roll out of the network. But with so many small cells transmitting such high frequencies so close to people’s homes, many experts fear that a frenzied push toward 5G lacks the consideration it deserves. Over 200 scientists and physicians from 35 countries have signed a call to action demanding a moratorium on 5G deployment until its radiation levels are proven safe, particularly for children and pregnant women. “Inaction is a cost to society and is not an option anymore… we unanimously acknowledge this serious hazard to public health…,” states the appeal. One of the scientists speaking out against 5G is Martin Pall, PhD., Professor Emeritus of Biochemistry and Basic Medical Sciences at Washington State University in Oregon. As the title suggests, Pall’s prediction is grim. “I believe that 5G will be vastly more active in producing effects in our body than our current exposure. And our current exposures are already quite serious,” Pall said. Considering how widespread wireless use has become, it’s hard to imagine that there could be any health hazards associated with such commonplace technology. Surely a large industry would not expose us to something if there was doubt that it might be dangerous. Surely regulators would stop them if they tried. And yet there is overwhelming evidence to the contrary. Since the 1970s, scientists have shown that exposure to the same kind of microwave frequency radiation flowing from our phones, cell towers, and Wi-Fi routers can negatively impact humans, animals, and plants. The evidence has since been confirmed in several thousand peer-reviewed studies, showing harm of the reproductive system, impact on the brain and hormonal system, the heart, and more. The impact isn’t merely theoretical. Researchers in some countries have noted that a sharp rise in autism, cancer, neurological disease, and other chronic ailments observed over the last 10 years could have a direct link to the unprecedented levels of microwave radiation we’ve all been bathing in. However, both the industry, and the agency that regulates it, contend that the microwaves used in telecommunications are broadcast at too low of an intensity to hurt our bodies. They insist that since the waves are not intense enough to create heat (like in the case of a microwave oven) our biology can’t suffer any ill effects. Regulatory guidelines are based on these assumptions. But Pall points to many studies that show harm without heat, and he’s even identified the biological mechanism that proves it. It ’s a part of our cells that is sensitive to electrical charge, called the voltage-gated calcium channel (VGCC). When EMFs stimulate the VGCC it can elevate oxidative stress (a key component of any chronic disease), damage DNA, and increase cell death. Because the millimeter wave frequencies to be used in 5G will be so highly pulsed, Pall believes they will have a stronger impact on our VGCC’s and will likely cause more disease that develops at a faster rate. “I think we’re looking at an absolute nightmare scenario, and it’s incredible that we would even be considering this sort of thing. This should be tested biologically for safety,” he said. Pall shared his ideas with the FCC in 2016, but it didn’t make much of an impact. When asked whether small cells have any health risk at a recent U.S. Senate Committee hearing on the “Race to 5G,” FCC Commissioner Brendan Carr replied that his agency sees no problems. “They’ve looked at all of the information and they’ve reached the determination that these are safe. That’s a determination that is constantly undergoing review, and any new information that comes up is taken into account,” Carr said. Since the Industrial Revolution, we’ve seen one technological breakthrough after another. 5G represents the next leap forward, where the science fiction we’ve dreamed about for decades finally becomes a reality, and the economy grows to unprecedented levels as a result. That’s the industry narrative, anyway. With every industrialized nation rushing to get on the 5G bandwagon, the quick installation of this new network is promoted as a matter of national security. The threat is about missing out: those who are slow to adopt 5G will surely find themselves at a disadvantage as more forward-thinking nations get a better foothold on the future. But for Dafna Tachover, an attorney fighting the push toward 5G, the network is really just a strategy to expand a market. “Almost every person on this planet already has a cellphone. There’s not much more you can do with it, right? There is little room for growth. So the industry had to come up with another source of income,” Tachover said. According to Tachover, the real money to be made in 5G won’t come from faster download speeds or a bike that can talk to your sound system, but from your data. According to a 2015 report, applications within the Internet of Things are estimated to rake in as much as $11.1 trillion by 2025, and much of this involves the collection, management, and dissemination of data that all our new smart objects will constantly broadcast about us. For Tachover, the fight against 5G goes much deeper than data. She is the founder of We Are The Evidence, a group representing people with health problems related to the exposure of wireless radiation. And, like Pall, her biggest concern are the diseases related to more microwaves flooding our airspace. Tachover points to the $25 million, 16-year study funded by the U.S. Food and Drug Administration which showed a causal link of cellphone use with cancer and DNA damage, as well as a review by the Army Institute of Research and the U.S. Air Force looking at 300 studies on millimeter waves for non-lethal weapons. 50 of those studies saw health effects related to millimeter waves at non-thermal levels. Tachover also points to another study from Hebrew University in Israel which showed that human skin becomes like an antenna when it is exposed to millimeter waves at levels that will be used for 5G. “And the industry and our government says there is no problem,” Tachover said. Tachover notes several strategies for reducing our exposure to microwave radiation. Use your cellphone as little as possible, turn off its cell data sensor (your email and notifications won’t get updated, but you can still receive calls and texts). Turn off your Wi-Fi router at night, or better yet, get a wired connection, and install jacks in each room. But there’s some radiation we can’t avoid, and it’s getting harder to find a place where microwaves aren’t buzzing in the background anymore. It could be impossible once 5G is complete. Debbie Persampire is a mother of two. She first became concerned about the impact of microwave radiation when she discovered a small cell installed right outside her home in Huntington, New York. It’s a brown cylinder attached to a post about five feet from her backyard fence, and aimed directly at her children’s second-floor bedroom. Local officials told Persampire not to worry. The small cell was designed to transmit a new network called 5G, and the frequencies it broadcast were FCC compliant. But with just a little research, Persampire lost confidence in the safety assurance. She learned that in 2012 the U.S. Government Accountability Office sent a letter to the FCC to update guidelines for exposure limits for transmitters based on concerns from several health agencies. The following year, the FCC opened a docket, and have since received nearly one thousand submissions from scientists, medical associations, and people whose health was directly impacted by microwave radiation. “Today it’s still considered an open docket. Nothing ever happened. No changes have been made,” Persampire said. Persampire has also discovered that, despite her distrust of the 5G network and protests of the small cell outside her home, she can’t opt out of it. 5G does offer the consumer new technological wonders. But Tachover believes that if given the choice, most people won’t want it once they know what they’ll be sacrificing. “If you ask most people if they’d want an antenna in front of their home, they would say no. If you ask them if they want all their data transmitted out there, they would say no. But no one is asking them,” Tachover said. Article 704 of the FCC’s 1996 Communications Act says that state and local governments can’t dispute the placement of cellphone towers on the “basis of environmental effects” of microwave emissions if the site complies with regulations. But now that several small cells may soon be invading every neighborhood, more people are starting to challenge this clause. So the industry has recently introduced dozens of new bills at the state and federal level to keep the 5G build out on schedule and within budget. On September 26, 2018, the FCC passed a rule that takes away power from state and local government to regulate anything when it comes to 5G. It silences objections, and prevents any regulation that will ban 5G antennas. It also compels states to approve applications in a short window of time. But many are fighting back. At least 20 cities are suing the FCC for forcing municipalities to accept 5G infrastructure. In one city, Verizon withdrew applications after people resisted. Last year in California, Gov. Jerry Brown vetoed a bill that granted a uniform permitting process for small cells. But by and large most state and federal lawmakers have given the green light to the 5G rollout. In May, Tachover gave testimony in front of the Michigan legislature when that state was moving their version of the 5G bill to the House. Despite her explanation, Tachover felt like lawmakers couldn’t comprehend what was at stake. Tachover says that in some of these bills, the industry has built convenient loopholes in the event of damage or health problems related to the small cells, safely protecting them from any retaliatory lawsuit. “The industry will create the damage, but the taxpayer will pay for it,” Tachover said. 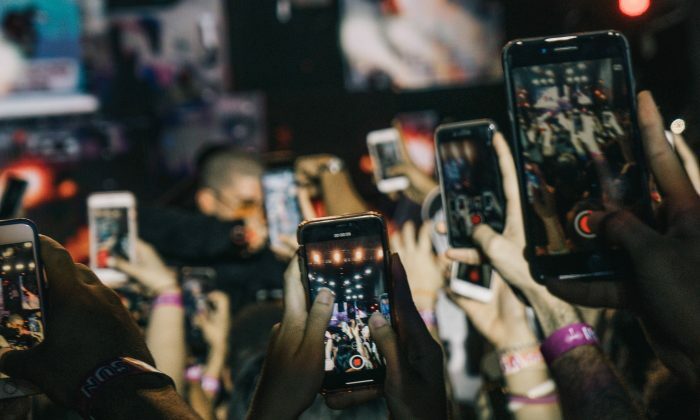 On October 1st, 2018, the first live 5G broadcast was transmitted in just a few cities—Sacramento, Houston, Los Angeles, and Indianapolis as part of Verizon’s “First on 5G” program. However, once the entire 5G build out is realized, experts predict that wireless radiation levels will increase 10- to 100-times greater than it is today. The network doesn’t replace 3G and 4G, it’s just another layer of microwaves constantly oscillating in our already crowded airspace. That could be devastating for someone like Isabelle Gallo, a 17-year-old from Chicago who suffers from electromagnetic sensitivity (ES)— a health condition characterized by debilitating reactions to even low levels of wireless radiation. Tachover says that the older name for ES is “microwave sickness.” The term comes from the U.S. Army in the 1950s, when soldiers would develop symptoms from working near radar equipment. It’s not clear how many people suffer from ES, but a survey done in 2006 found that it afflicted as much as 10 percent of the population. However, consider that this was back before smartphones and Wi-Fi when there was much less microwave radiation in the environment. Gallo started noticing symptoms two years ago. At first, she assumed everyone felt funny when they used a computer. Later, she found that whenever she was in her high school’s computer lab, she would experience headaches, nausea, and terrible brain fog. Over time, her sensitivity grew worse. Gallo said that whenever she found herself in a wireless environment, she would have trouble walking because she ran short of breath, and her heart hurt when she had to move. “Then I’d go outside in the park, and I could run around and jump and do whatever,” Gallo said. As a result of ES, Gallo’s life is very limited. She now has to be homeschooled. Her family can’t use devices near her. When she goes outside, she has to wear a special hoodie with silver sewn into it that blocks some of the microwave radiation in the environment. Gallo is happy to explain her ES for those suspicious of her ailment, but her biggest concern is for those around her. She notes several examples of family members and former teachers who experience mild reactions to these frequencies. But she says they’re too attached to their devices to see what’s happening. Despite her illness, Gallo’s parents may not have much say if Verizon or AT&T send a contractor to build a small cell outside their home. Current FCC rules prohibit any discussion of health in regard to cell tower placement, and the agency wants the same rules to apply to small cells. The idea is that it’s a waste of time and resources for local governments to dig into health concerns when the agency has already determined the emitted frequencies don’t cause problems. Dozens of municipalities were sued when health was mentioned in the hearings over cell tower placement, and FCC rules allowed the industry to win each case. In an effort to fast-track 5G, the industry is counting on existing law that prohibits discussion of health effects, and passing legislation that makes it impossible to object to the massive deployment of microwave antennas. “The industry with its check book and control of our legislators in Congress and the States’ legislatures win. The people undoubtedly lose, and most don’t have the slightest clue,” Tachover said.